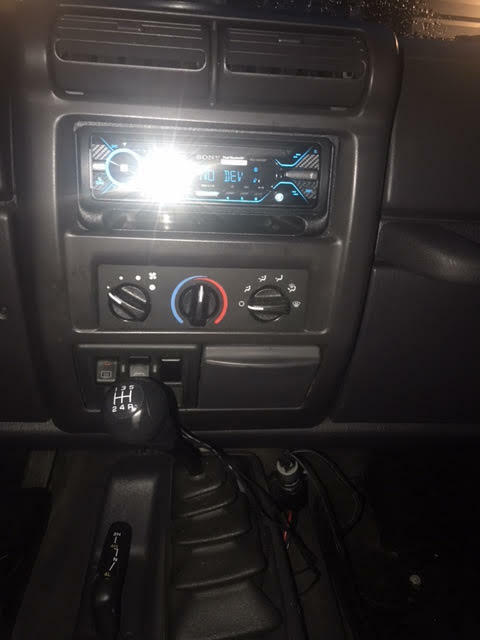 Quadratec has taken the guesswork out of installing your new stereo! We have put together this kit that includes the stereo with a plug and play installation kit with custom dash bezel to install quickly and easily into your Jeep without the need for any cutting and splicing. This stereo receiver includes the Sony exclusive EXTRA BASS sound feature that enhances the beats of your favorite music with the touch of a button. At the same time, the 2-zone dynamic color illuminator glows brightly with light that matches your car's interior. You can even stream music from your phone and customize the sound using the 10-band graphic equalizer. Touch the backside of any NCF-compatible phone to the volume knob for instant Bluetooth pairing. Two devices can be paired at once. With Siri Eyes Free Feature, calls can be easily made hands free, and music selections can be made without taking your eyes off the road. Compose and hear text messages safely behind the wheel. 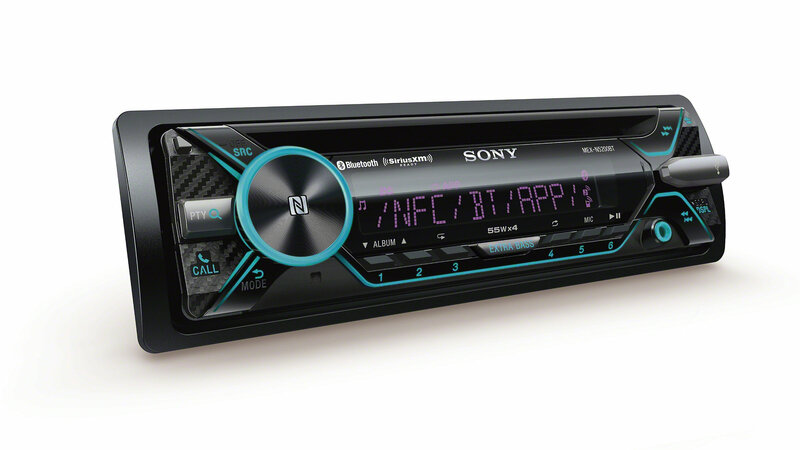 Make the installation easy with the purchase of The Sony MEX-N5200BT stereo with our Quadratec Exclusive installation kit. You’ll get absolutely everything you need for an easy, professional looking install including a dash mount kit and our easy plug n play wiring harness. With this harness, there’s absolutely no need to cut or splice any wiring. Simply use the new harness instead of the one that comes with the radio, and you’ll simply plug one end into your factory plug in the dash, and the other to the back of the radio. This review is for the product as received, not to indicate long-term quality. All I can say is WOW! This stereo can't be beat for the price, especially when paired with the Quadratec install kit. The only feature I don't care for is the color settings. Simple solution for me was to use the iPhone app (!) and manually change it to closely mimic the OEM greenish-blue tint of the rest of the dash. Install - a bit of a pain, but that is the engineering of the Jeep. I have larger hands so there was a bit of squeezing going on. The best advice I can give is simple: read the directions. Also, give enough time to do it. Protip if you have the OEM CD radio in a 2002 TJ, a closed end wrench is your friend. Total time it took me was about 30 minutes. Features - all awesome. I went from a broken stock OEM CD unit to this. I have Bluetooth, CD (MP3/WMA), RDS tuner, USB input, handsfree calling, and an iPhone app.11/10, would buy again. 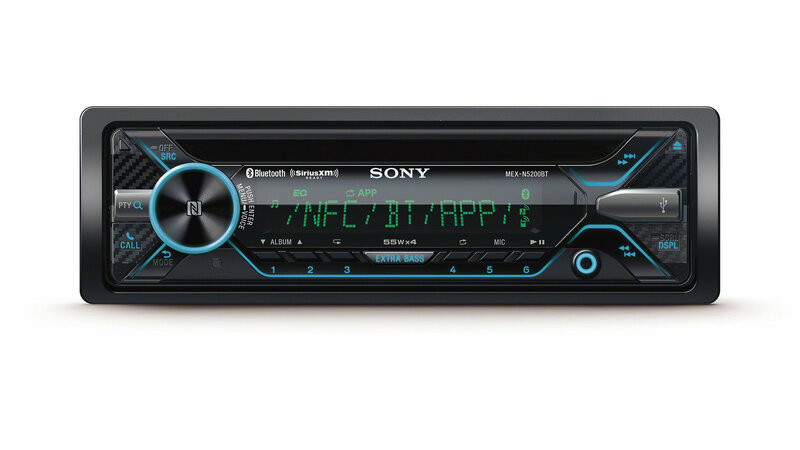 This is a NICE CD Player. The Blue-Tooth option is great. I really like being able to talk on my phone wile driving hands free. having a 6 speed that means it can be done in town as well. It is a clean looking install kit as well. it looks close to factory as you can get.